Born in Texas, and having lived in Australia, Canada, and various parts of the United States, Rob Shelsky has had almost 25 years of experience with investigating the paranormal, and a lifelong interest in the subject. Having attended Southwestern College, the University of Victoria, and San Diego State, and with a degree in science and the credits equal to another, Rob’s approach to research is practical and thorough. As he states: “When it comes to UFOs, I want to kick the tires of one to make sure it’s real.” Of course, UFOs, not having tires, has made this a bit difficult for him…. As an investigative columnist for AlienSkin Magazine for seven years, Rob has done onsite investigations. He has even researched other paranormal phenomena, such as the legendary and supposedly haunted Prospect Mansion in Ohio and the Brown Mountain Lights of North Carolina. Rob is a MUFON member and certified Field Investigator for MUFON. Rob has written a series of nonfiction books on the subject of UFOs. His books include: Darker Side Of The Moon “They” Are Watching Us, Ancient Alien Empire Megalithia, For The Moon Is Hollow And Aliens Rule The Sky, and Deadly UFOs And The Disappeared. Rob also has Invader Moon due out in February, 2016 with Permuted Press and Simon & Schuster He has Time Travel Is Real due out with these same publishers in the fall of 2016. All his previous books have occupied the Number 1 spot for their genres at Amazon, some for the better part of a year. Rob writes on general paranormal phenomena, such as with his book, Mysteries Of Mothman, and his Mysteries Of Time Travel: 35 Cases Of Time Travel Intrusion. Rob is an eclectic writer. He has also now branched out and into science fiction, horror, the paranormal, and fantasy, but principally with the ancient aliens’ theme included, and utilizing facts about them, as with his new SF Apocrypha Trilogy, which has just debuted with Permuted Press. This trilogy includes, The God Factor, The Creator Code, and The Babylon Effect. He is also collaborating with another author, Chanta Rand, on yet another science fiction trilogy, Worlds In Rebellion. 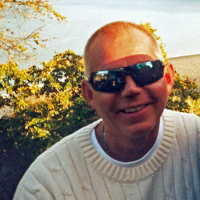 Rob also writes historical romances, Regency romances, cozy murder mysteries and more under various pennames.